When the Harmonious Oscillator was unveiled at Baselworld in 2009 as part of 'The Watch Factory', the timepiece sparked a great deal of interest. How could a mechanism with two interlocking toothed balances work? Many Master watchmakers and CEOs of major brands came to discover the "unimaginable"! This invention, patented by Rudis Sylva, was one of the most instructive and surprising discoveries. Historically, watchmaking theories had ruled out stress on the balance, but this timepiece saw the Franches-Montagnes-based brand flying in the face of three centuries of watchmaking history. The technical achievement lies in the design of an organ regulating the two balances, into which sophisticated teeth have been cut, enabling the balances to be interlinked. 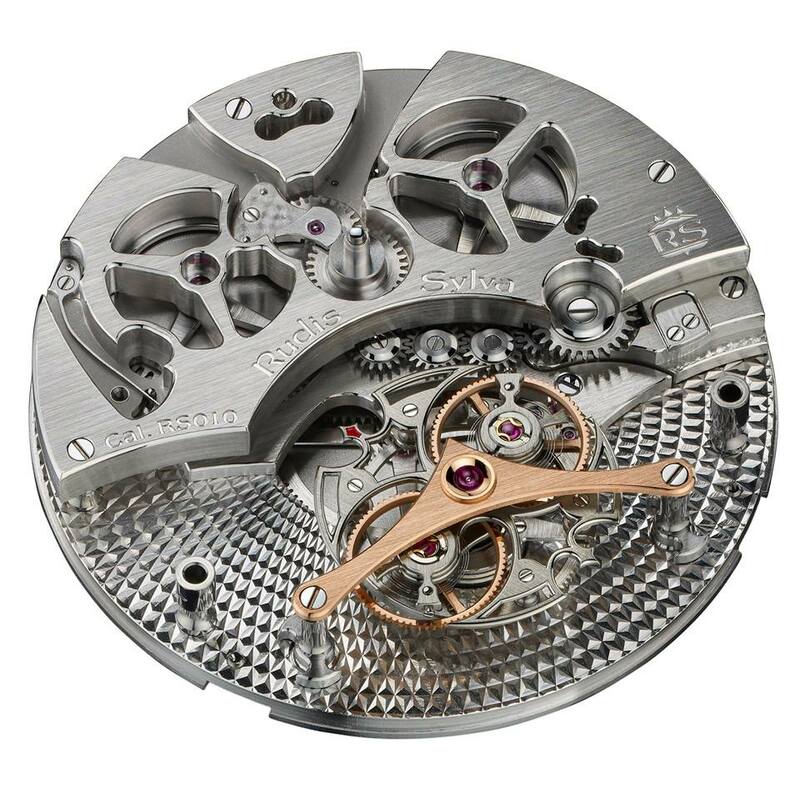 Given that there is only a single escapement, how does this twinned balance work? The explanation provided at the 2009 show by Mika Rissanen, a watchmaker working for Rudis Sylva, demonstrated that the 2 balance-springs were mounted in opposition and were deployed asymmetrically, constantly providing energy to the regulating organ. Fitted in a cage which turns 360 degrees in one minute, the advantage of the Harmonious Oscillator is that it immediately eliminates the effect of gravity when the watch is positioned vertically. Unlike the majority of existing tourbillons, this system is no longer subject to the Earth's gravitational pull when the watch is positioned vertically, and does not require the standard 60 seconds to compensate for the effect of gravity, as it does so simultaneously. "an invention as important as the Breguet tourbillon"
"more accurate than all existing tourbillons"